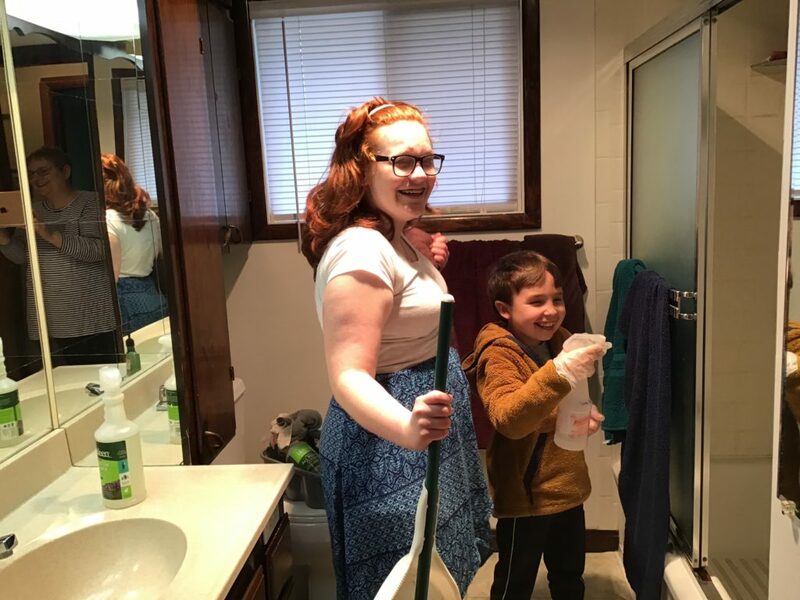 My kids have always had chores but not bathrooms. Where did I go wrong? Rob looks like he had a wonderful birthday. Jake seemed like he had a great time too. Great job on using up things from the pantry and keeping your grocery budget low. Cleaning bathrooms was one of my chores when I was a girl. I got really good at it because of that. Sometimes, over the years, a child won’t do a stellar job, so an adult needs to get in there and really clean after they’ve had the job for a few weeks. Still, it’s worth it to me so that child can learn. Patsy is getting really good at it. I don’t know if Jake ever will, but I love it that he’s learning anything useful, even if it’s just a little at a time. Since this house has only one bathroom, it gets dirty really quickly. I’ve noticed that there are weeks where every single person in this house cleans a little here and a little there in there. It seems to be a never-ending, on-going job around here. Not my favorite, but….it is what it is. 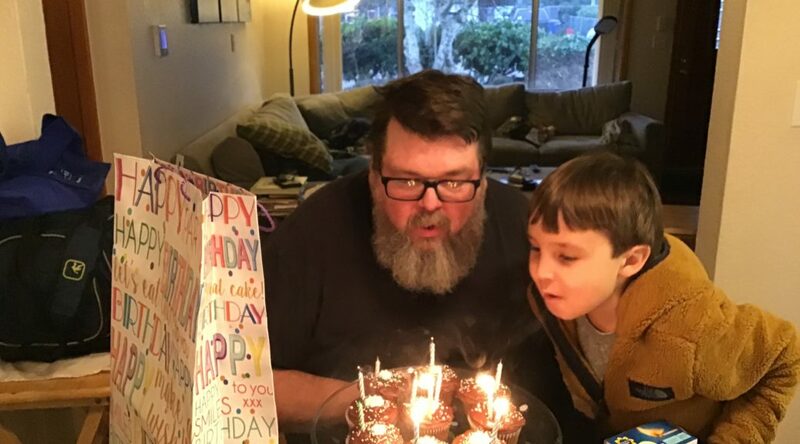 Jake was really in to Rob’s birthday this year–way more than ever before. It was nice. It sounds like you’ve had a wonderful week. I loved having chores as part of our daily routine when our children were young and at home. It helps them develop skills they’ll need later. Thank you, Shara! I think Rob is fully birthday”ed” out! I know for me, it’s time to set aside some of those cupcakes and focus on less sugar:). I finally figured out where you went! I just needed to read the other blog and understand. Way to go Rob! Happy Birthday! I’m glad you found me! I’m sorry it was confusing:). I still think I may need to figure out how to pay WordPress.com to put a re-direct on my old blog–so much still to learn!!! 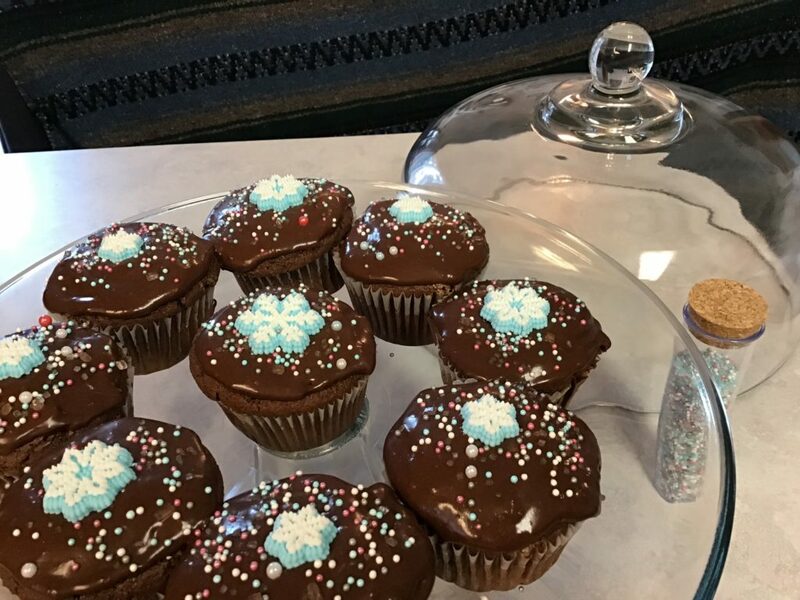 The cupcakes look lovely! Happy birthday! 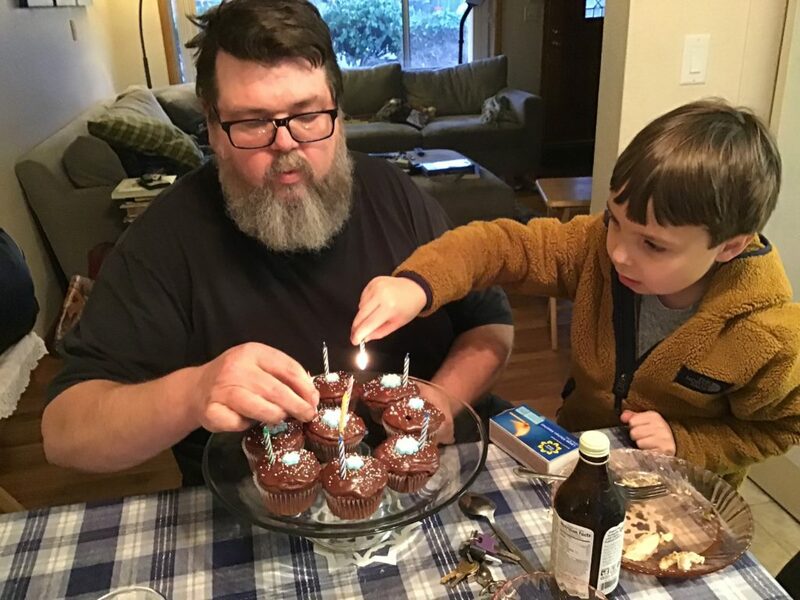 Happy belated birthday to Rob and congratulations on the weight loss! Very impressive! Thank you. I’m passing along all the good wishes and congratulations to him! Today, he’s watching the Super Bowl with healthy snacks in hand! 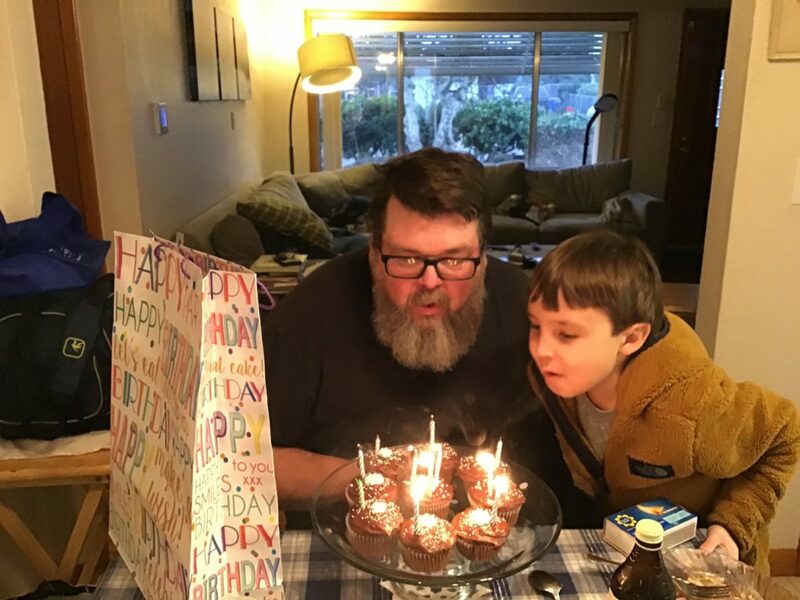 Happy belated birthday to Rob! What a great birthday celebration. Congratulations on the weight loss too. That is awesome. Do hope that losing weight is helping his pain, or at least he will soon be able to have the surgery. Great job on your use it up project. Sounds like you have been eating well and saving money. Thank you very much. We were hoping the weight loss would help the pain, but so far, it hasn’t:(. But, in other ways, he’s seeing improvement, and he’s closer to the surgery that will allow him to feel better and walk normally again.